The Secret Label is an online shopping platform from Hyderabad that curates offbeat and Bohemian products designed by popular and upcoming Indian designers. Get a scoop of everything trending here! You think your wardrobe needs a makeover? 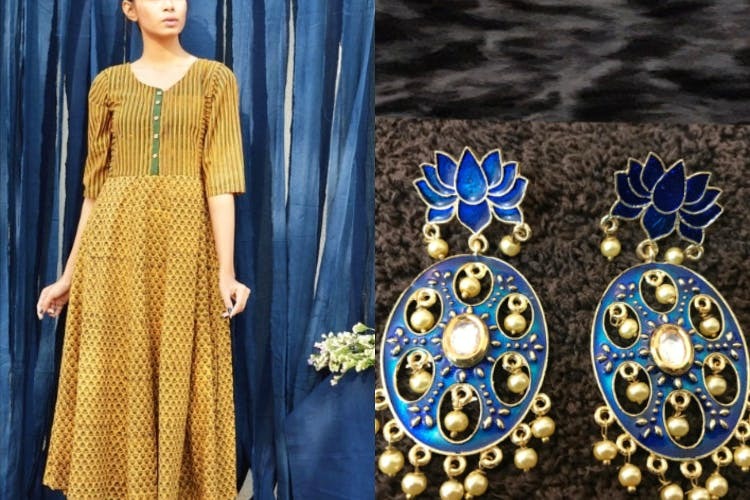 Amp up your daily essentials and ethnic wear with a few classic pieces from The Secret Label. Discover all things ikat, block print patterns, tassels, checks, kalamkari in the form of cowl dresses, sarees, tunics, and suits. There are budget finds as well as high-end pieces that are perfect for special occasions. The prints here are simple but eye-catching and if you want to be an eye-candy yourself, then check out their tie-up dresses or the feminine crop tops. If accessories hit your sweet spot, you cannot get enough of their collection that we’re adding to our cart as we speak. They also have a wide range of chaandbalis, hand-painted light-weight earrings, quirky hanging bird earrings; the price range begins at INR 500 and goes up till INR 1,500 depending on the design. Have we also mentioned the kids section? Tie and dye dresses, ikat tops, dressy jackets, bright jumpsuits, kurtas with jackets are available for your kiddies. Don’t you feel left out, men! There is ample for you to choose from. Whether you are looking for something casual or an ethnic ensemble, there’s plenty of goodness to hoard. We are loving the cowl kurtas and tropical panel shirts. Explore the comprehensive range of formal as well as casual shirts and if you are interested in twinning with bae, you don’t have to look beyond this store. Plus, there are ikat kurtas too!